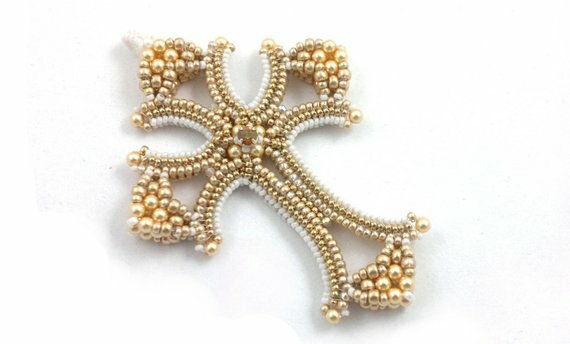 Beaded crosses can be surprisingly varied in style from modern to classic designs. 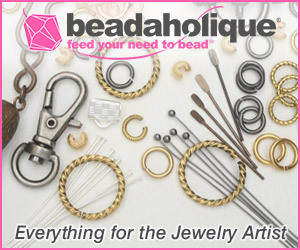 These wonderful beadwork artists shows how versatile beading can be. 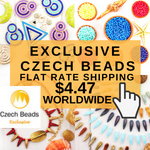 They have also been inspired by the many Christian cross variants which date back centuries. 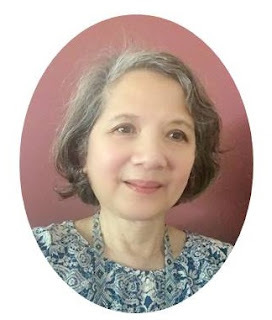 One of my favorite beaded jewelry designers, Helena Tang-Lim, of maneklady has a gorgeous crux gemmata inspired cross design shown above. A crux gemmata, Latin for "jeweled cross" is a style typical of early Christian and early Medieval art. 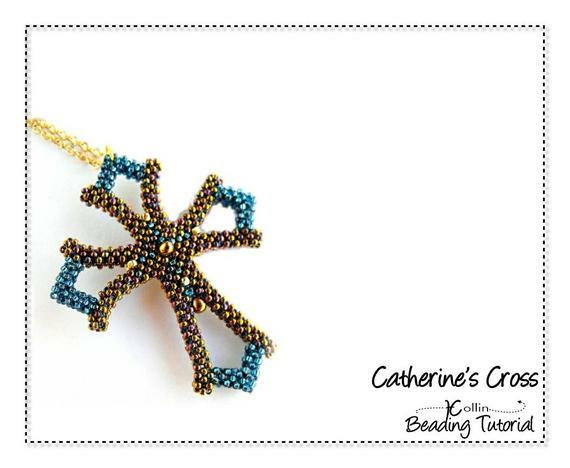 Beaded jewelry need not be elaborate as shown by this contemporary design called Catherine's Cross by HeatherCollinBeading. I just love its open frame and beautifully set angles. 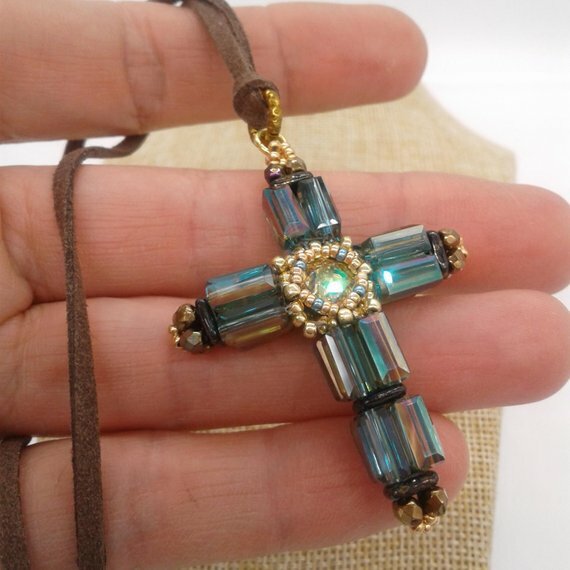 This simple beaded cross tutorial reminds me of art deco designs! 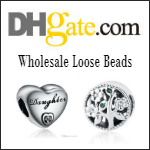 Great use of rulla beads. The designer is Margherita of 75marghe75. Margherita also has this lovely "Croce Normanna" tutorial. 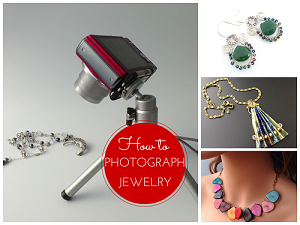 The beaded bezel certainly adds color to the design. It looks a little like a St Cuthbert cross but with shorter arms - St Cuthbert was a Celtic saint. 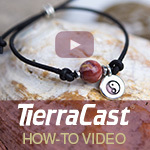 This ankh cross tutorial is also inspired by historical crosses. A lovely use of set rhinestones. The designer is Emma Jern of JernsJewellery. The ankh is actually an ancient Egyptian hieroglyphic which signified "life". Coptic Egyptians adapted it as the crux ansata, a variant of the Christian cross. 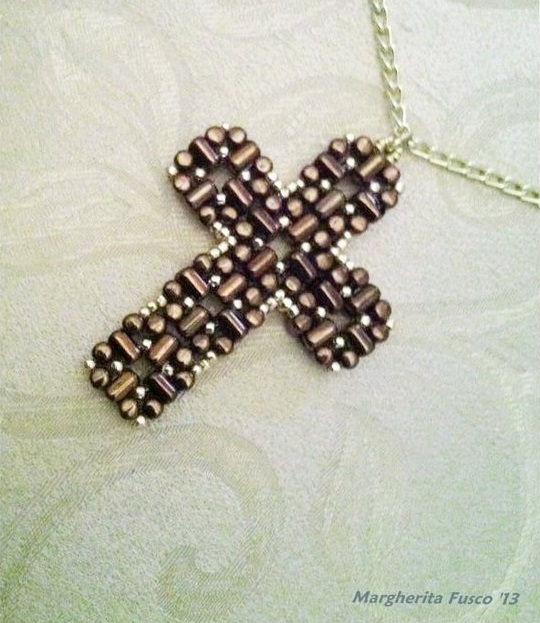 This double cross tutorial is a vision in simplicity with larger beads - especially with the right colors. The designer is Cristina of CrisEnCloo. 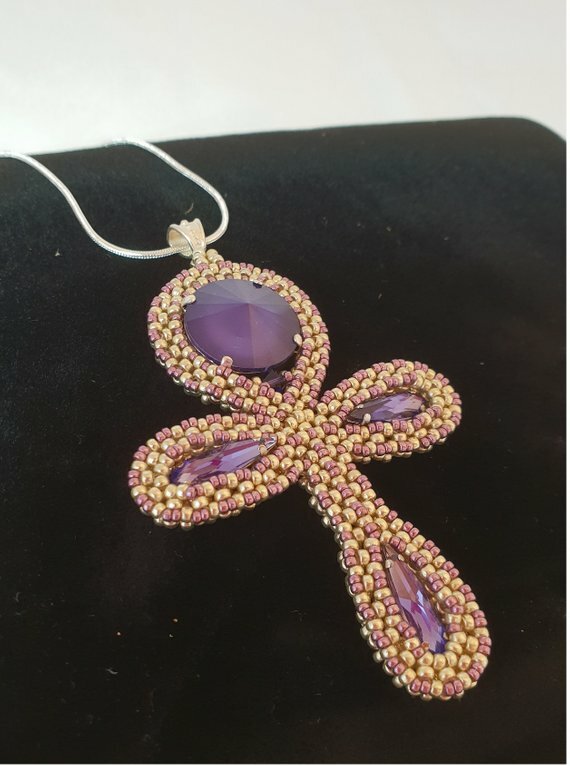 You have to know how to do cRAW (cubic right angle weave) before you tackle this gorgeous cross tutorial by Gianna Zimmerman of Beading4Perfectionists (b4pbakup). 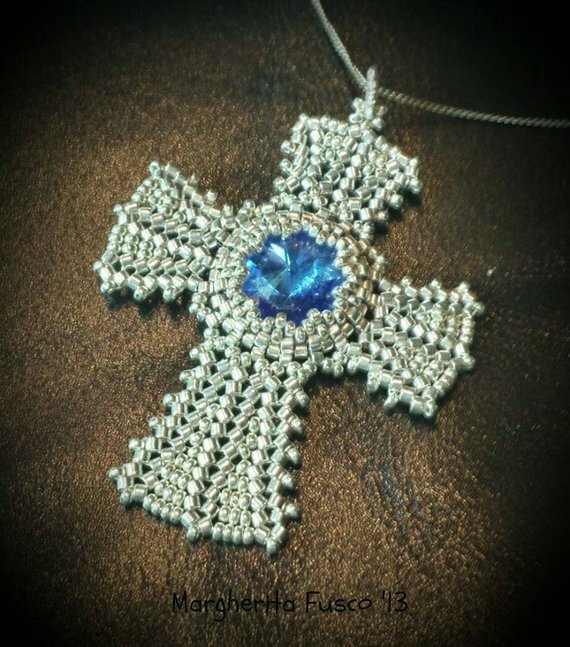 She has other beautiful crosses in her store! 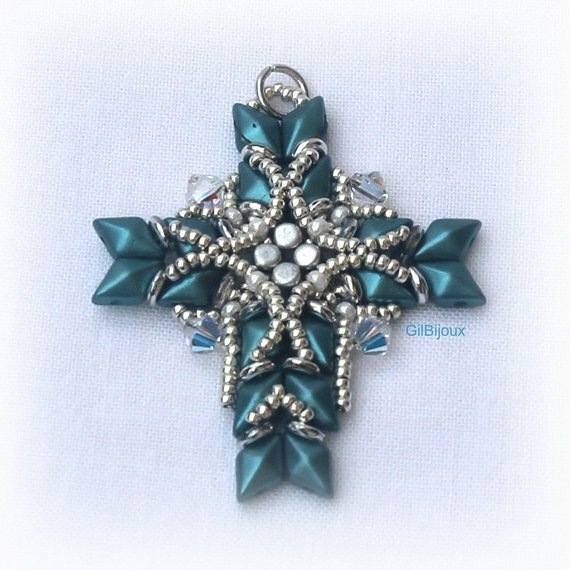 Diamond duos and Swarvoski crystals are featured in this cross tutorial by Gilberta Tocchio of GilBijoux.